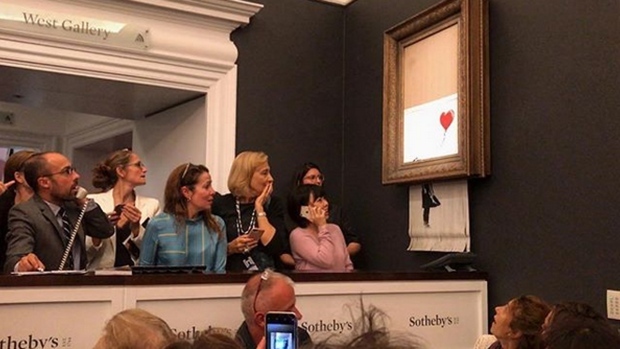 Banksy has posted a video to his website in which he implies the shredding of his "Girl With Balloon" at a Sotheby's auction in London was supposed to have been complete. Instead, the canvas was only partially shredded after the hammer came down on a winning bid of $1.4 million, to the shock of the crowd. 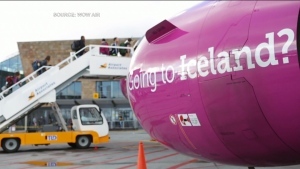 The auction house says the winning bidder decided to buy it anyway at that price. Much has been made about whether the famously anonymous artist had intended to keep at least part of the canvas intact. That raised speculation that the stunt would only increase the painting's value. In the video posted Tuesday, Banksy shows himself constructing the shredding mechanism inside a frame. At the end, the video notes: "In rehearsals it worked every time..."